Chris Brown has always been a fan of graffiti art, and music as a form of art too, but the rapper apparently has a pretty solid appreciation for ancient Greek art as well, because he just recently showed off a brand-new Venus de Milo tattoo on the back of his head. 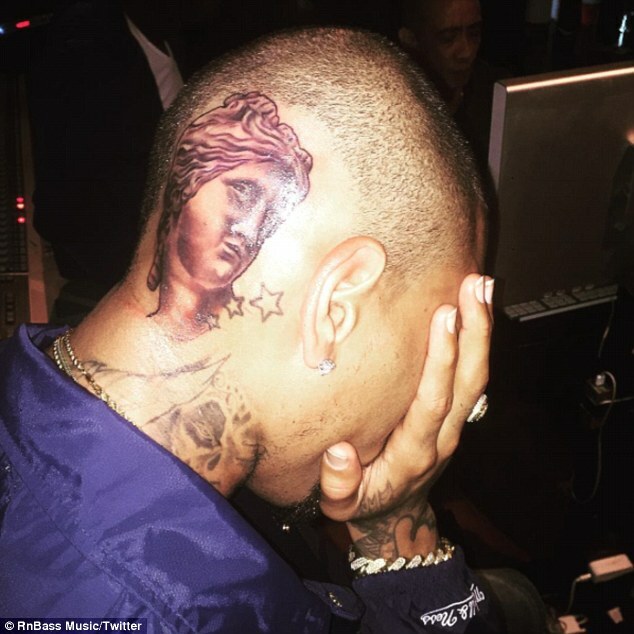 Chris Brown’s tattoo features a portrait of the iconic Greek Venus de Milo sculpture inked in black on the right-hand side of the back of his head, above his crossed feathers back tattoo, and right next to the three stars tattoo the rapper had done way back when in 2008, with fellow tattoo-lover and on-again, off-again girlfriend, Rihanna. The Venus de Milo statue, which is believed to depict the Greek goddess of love and beauty, Aphrodite, is shrouded in mystery, and when it was first discovered in 1820, on the island of Melos (Milo in Modern Greek), it was missing both arms, which made the restoration and identification of the statue difficult. While some believe that the Venus de Milo sculpture depicts the sea goddess Amphitrite, who was venerated on the island of Milo, the statue is most popularly thought to represent Aphrodite, who was often portrayed half-naked and with sensual, feminine curves. 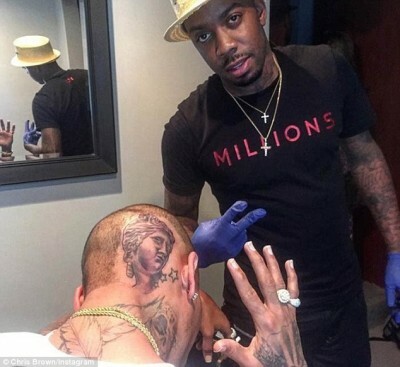 Perhaps Chris Brown believes his new Aphrodite head tattoo will help him figure out what he’s doing when it comes to love?? What do you all think of Chris Brown’s new tattoo on the back of his head?